As of last Friday, we finally have a weather port! This means we’ve been able to really get started working at LDB. 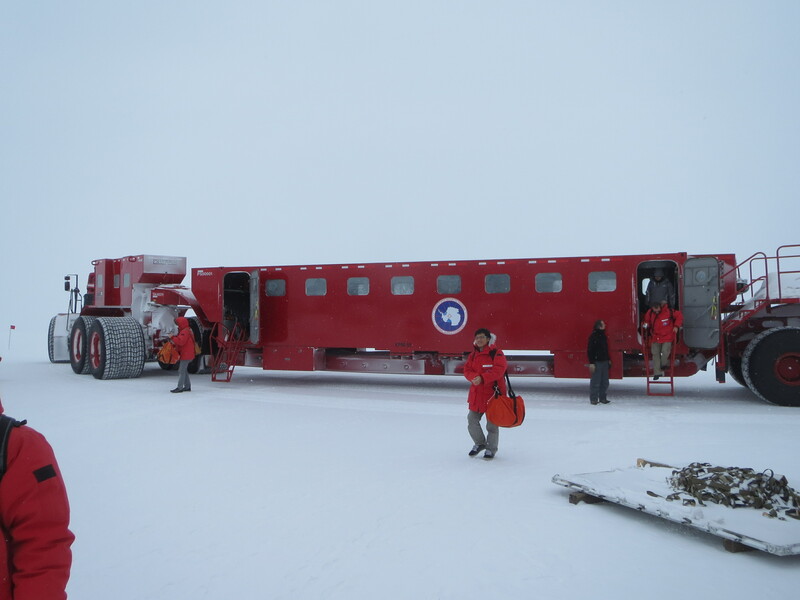 The LDB site is about 7.5 miles away from McMurdo, so we have to take a shuttles to get there. Every day (including Sundays), there is a big shuttle bus, called the kress, that takes all the LDB people out there. There are also shuttle vans approximately once an hour, though at night they get less frequent. 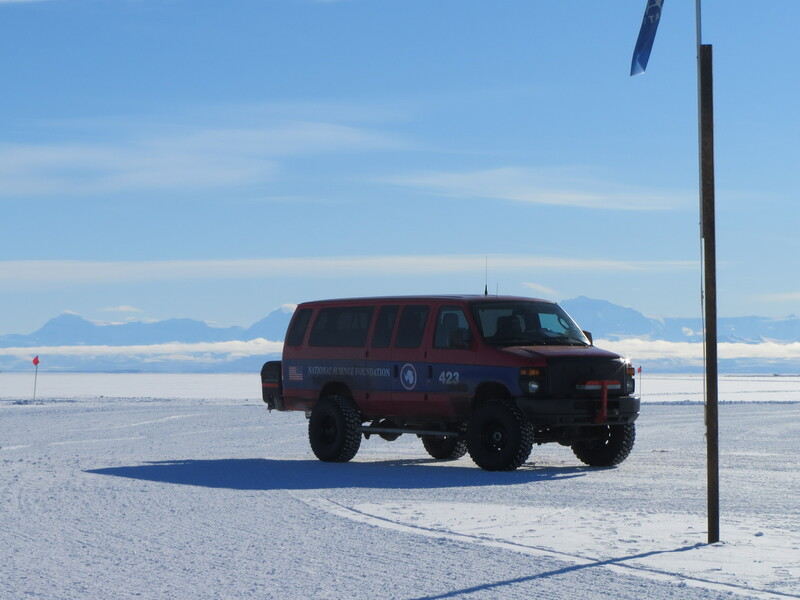 These vans are for both LDB and Willy Field, an airport near McMurdo. In the mornings, we’re encouraged to take the kress at 7:30 AM so that we don’t clog the Willy Field shuttles. Here it is at LDB. It’s a really big vehicle, and also really slow. Brent inside the kress. The kress is freezing, so everyone has to bundle up and wear their extreme cold weather gear. 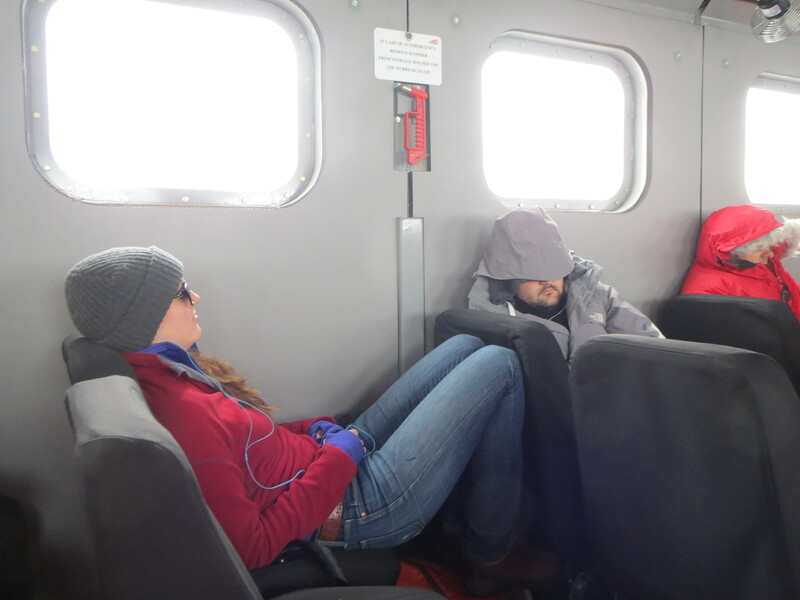 Because the kress is so slow, the ride takes about 45 minutes to an hour, which is long enough for a nap. Carolyn and Brent decided to take advantage of that fact yesterday morning. 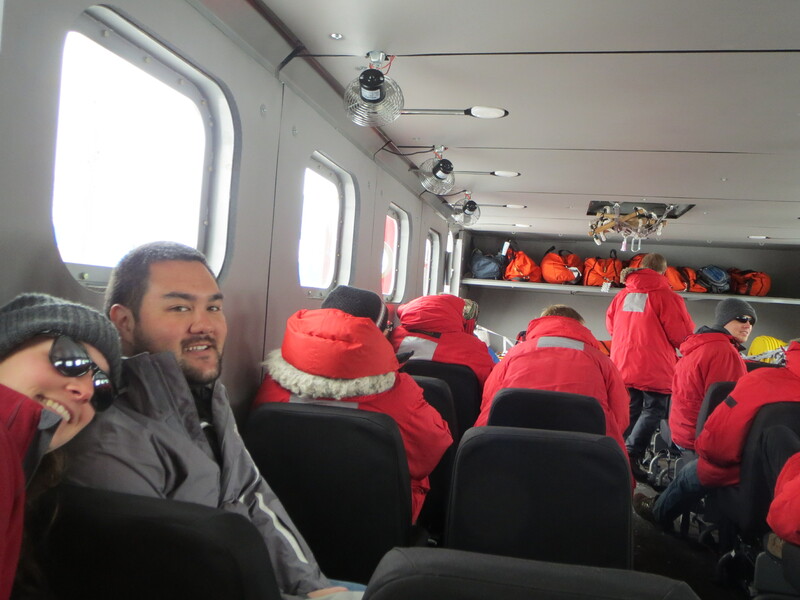 We often want to stay later than 5:30, which is when the kress takes everyone back to McMurdo, so we just hop on one of the shuttle vans. The kress doesn’t have any heating, so we’re all pretty cold by the time we get to LDB. Thankfully the weather port gets pretty warm! 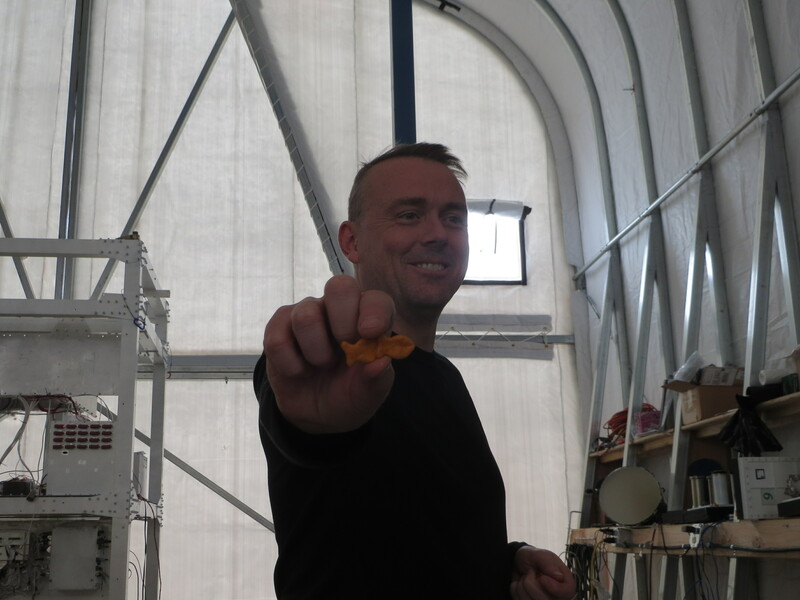 Once we’ve gotten settled in for the day, Steve goes around handing out vitamin C, which he always seems very excited about. 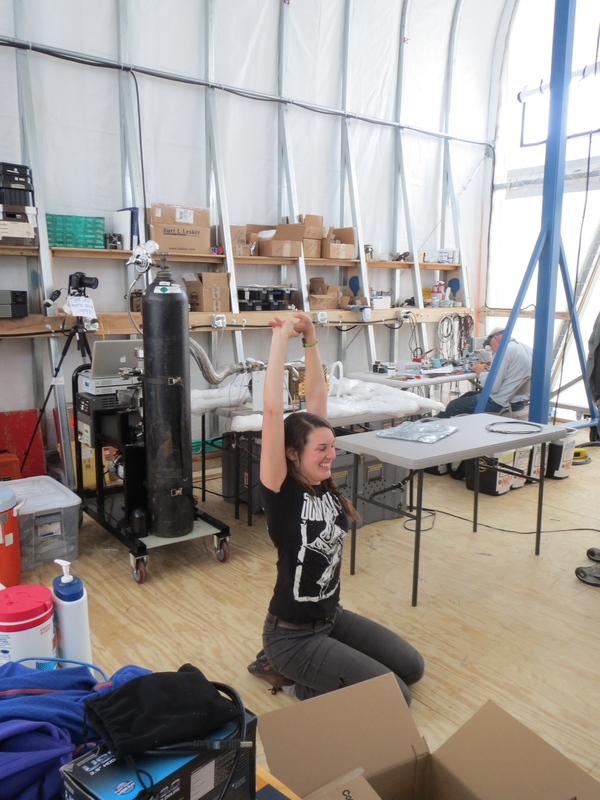 Carolyn sometimes has morning stretch sessions, inspired by the carpenters who built our weather port. 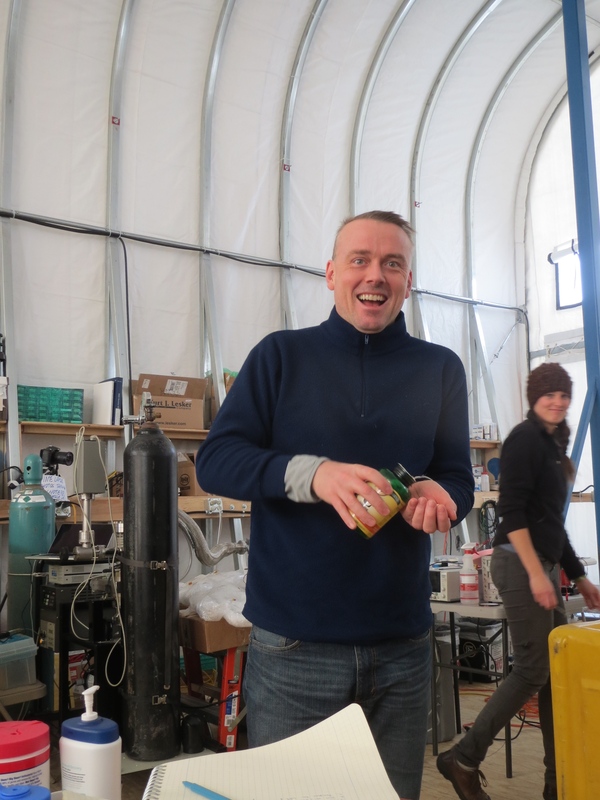 Steve getting ready to pass out vitamin C this morning. Carolyn during one of her morning stretch sessions. The carpenters building our weather port stretched every morning, and Carolyn and I often joined them. We decided to continue the tradition, and she’s been doing a good job sticking to it. So what exactly do we do when we’re working out here? Right now, our main priority is to build up our gondola and fix some issues we’re having with the cryostat. 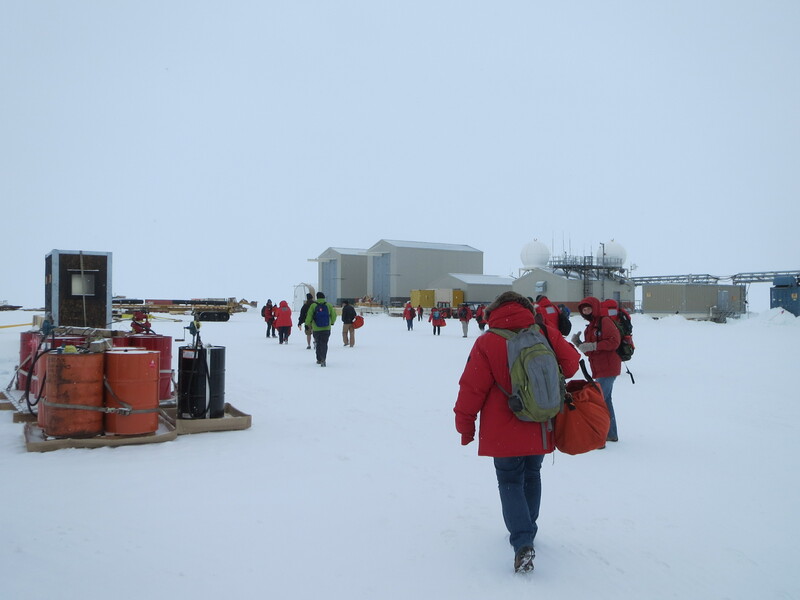 So far, we’ve got a lot of the electronics boxes and the SIP on the gondola, and we’re hoping to get the cryostat up there in the next couple of days. Once everything has been integrated, we’ll calibrate our instrument and make sure everything is ready for the launch. 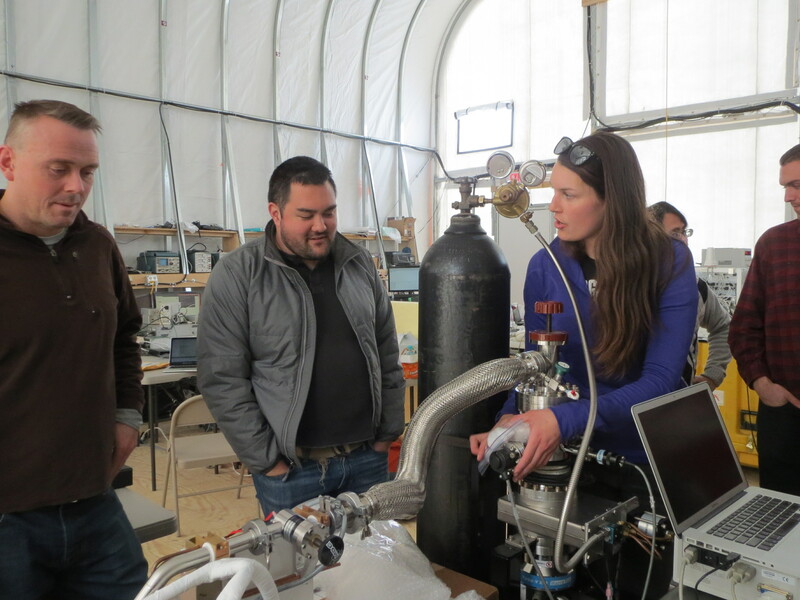 Steve, Brent and Carolyn working on the cryostat. Carolyn’s checking the temperature sensitivity with a bag of snow from outside. Lunch is always a good part of the day. 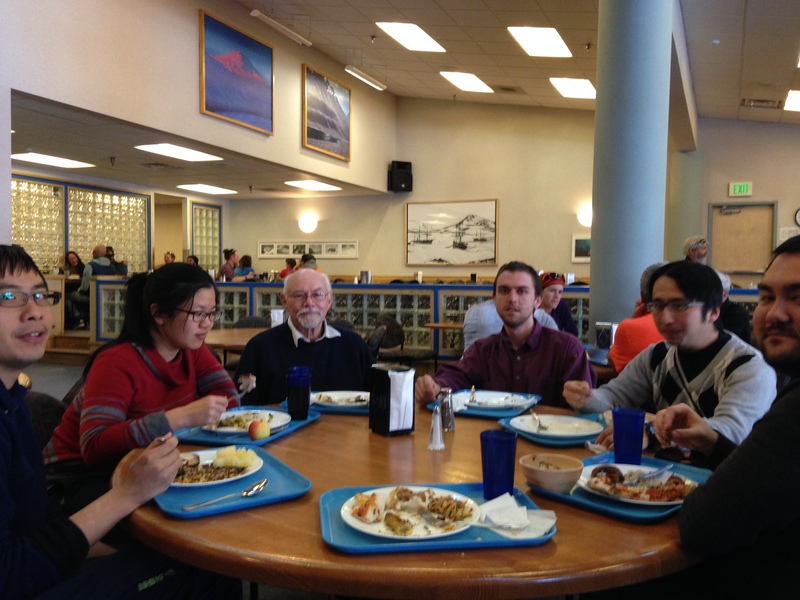 The food at LDB is much better than the food at McMurdo, so we get pretty excited for lunch. 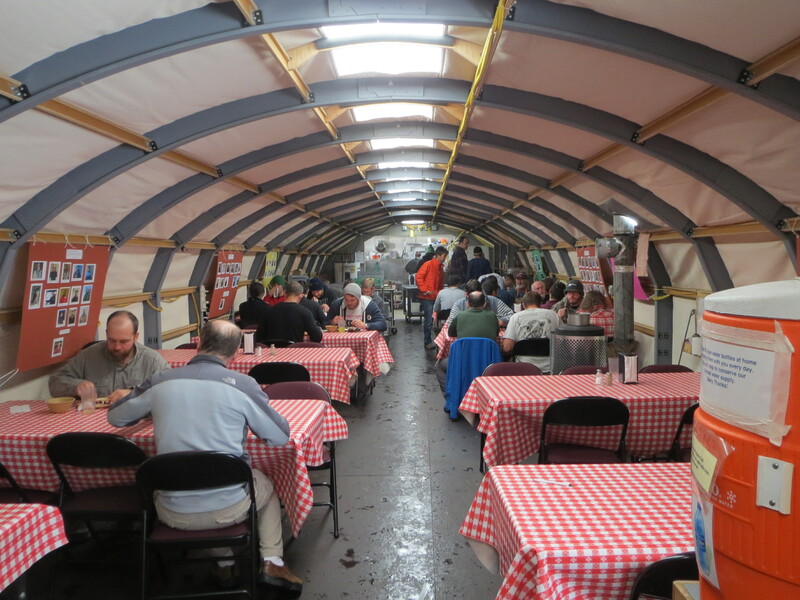 There’s a little galley tent at LDB, but it’s all the way at the other end of the facility. The bright side is that while walking there we get some pretty awesome views! The view from the back of LDB. This is what we see while walking from our weather port to the galley (or any other building at LDB, really). It’s pretty incredible! When we were in Palestine, we ate a lot of goldfish. 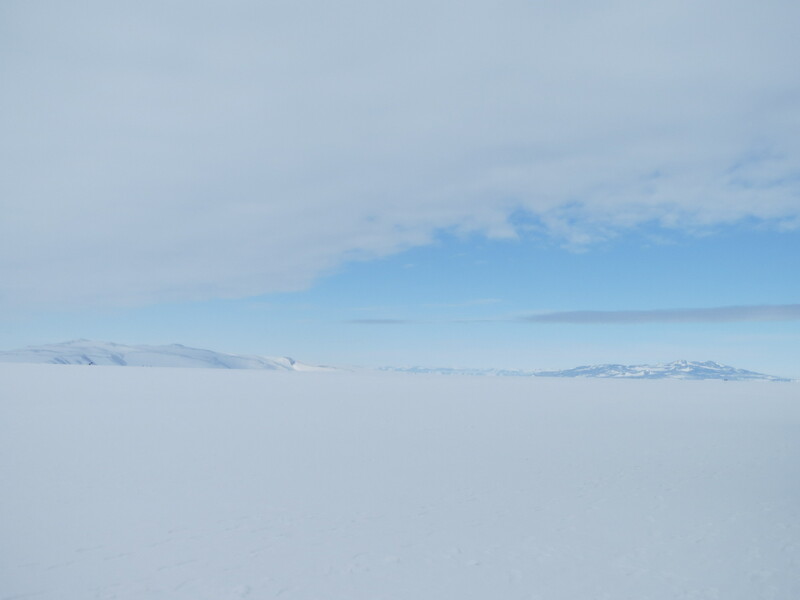 We decided to continue that tradition in Antarctica. We are already on our third huge box of goldfish, and are rationing them: one box per week. 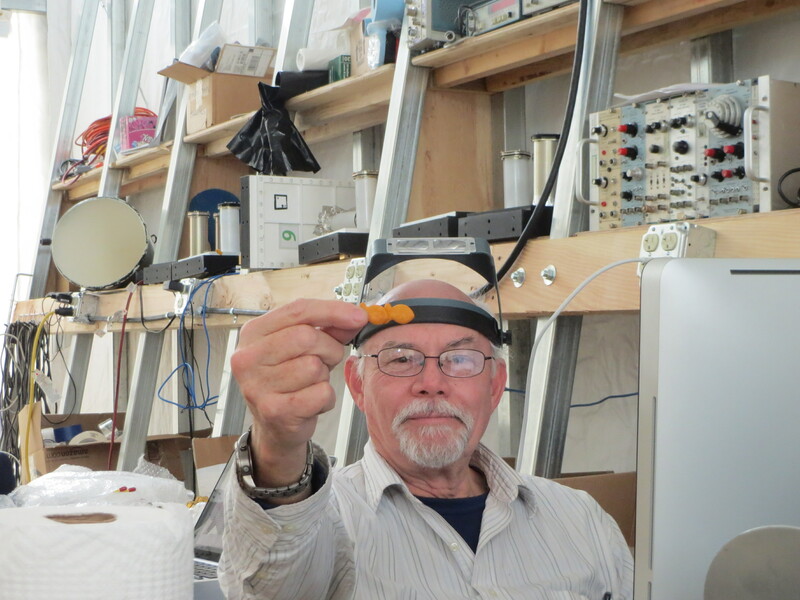 McBride and the third box of goldfish. This one is whole grain instead of original. Opinions are mixed about which type is better. A funny thing about the whole grain goldfish is that a lot of them get stuck together. For some reason, everyone got really excited about this. 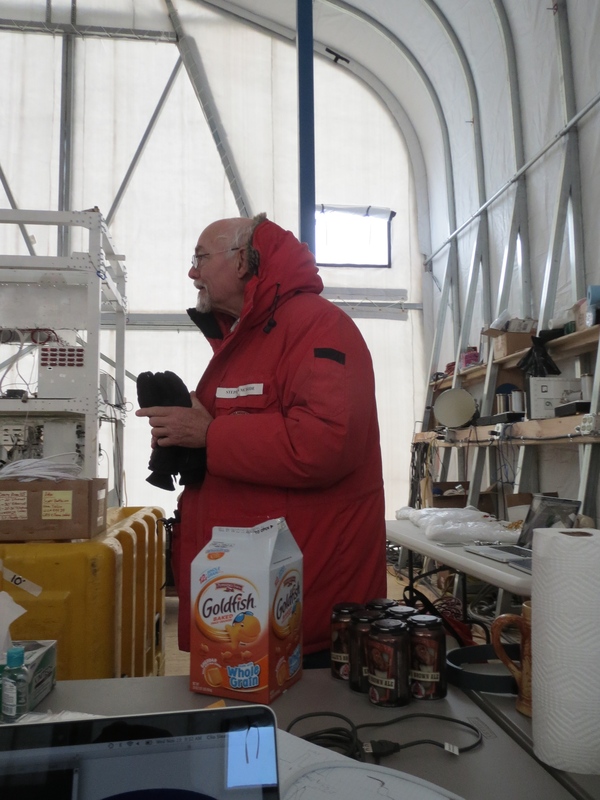 If we get back by 7:30, we can eat dinner in McMurdo. If not, dinner there is over, so we just heat up leftovers at LDB. 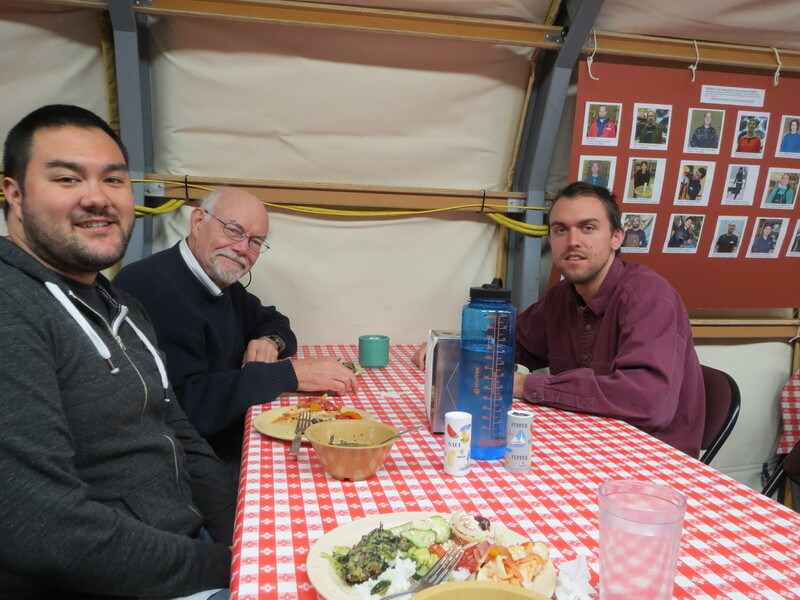 There are plenty of activities going on in McMurdo during the evening, so we can often find something to do. On Wednesdays there’s pub trivia, which is fun, though it’s difficult to stop McBride from yelling out the answers so loudly that all the other teams can hear! There’s also the coffee house, which is a good place for wine and board games. If we feel like staying in, the lounge in our dorm has couches, a TV, and a ton of VHS tapes. Most of the LDB people are in the same dorm, so it’s a good place to socialize with people from ANITA, Spider, and CSBF. In addition, there are walks / excursions we can go on, like discovery hut, observation hill, and a tour of the pressure ridges (I’ll go into more detail about these in another post). 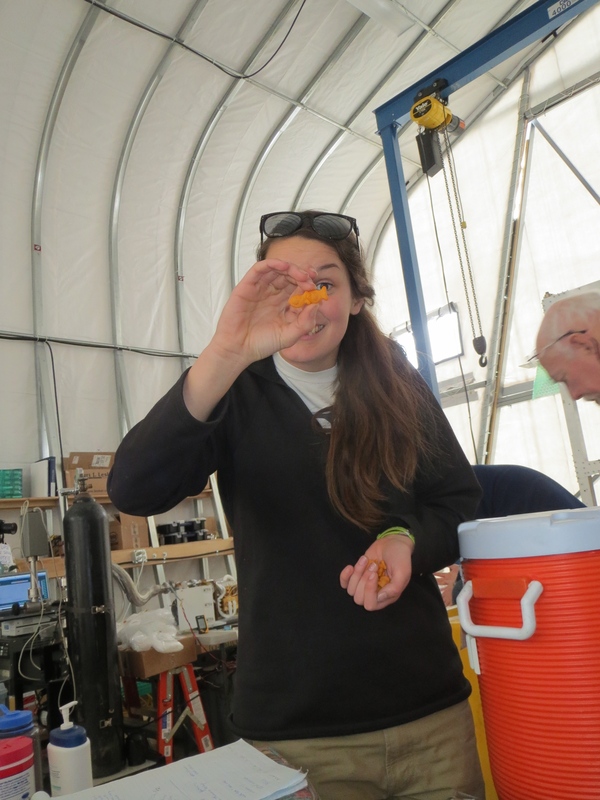 This entry was posted in Antarctica Life, COSI'14, In the lab. Bookmark the permalink.